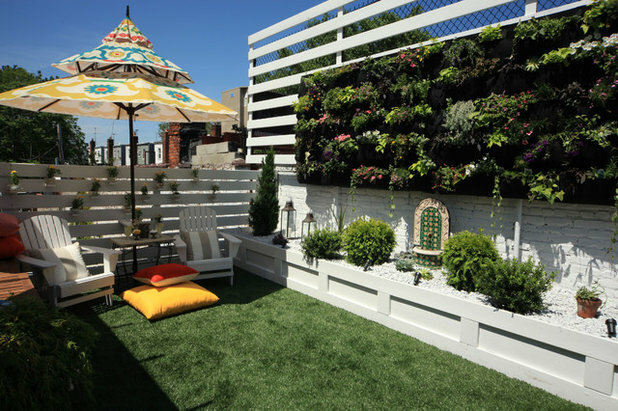 Make the most of your outdoor space by creating a comfortable zone for relaxing. 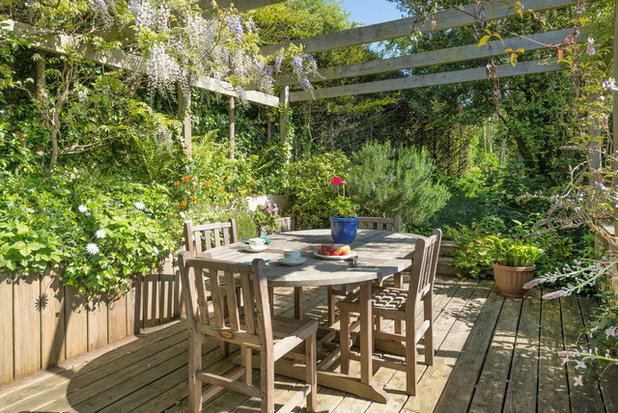 Just follow these simple tips and you can ensure your garden is somewhere to sit, unwind and enjoy the fresh air. 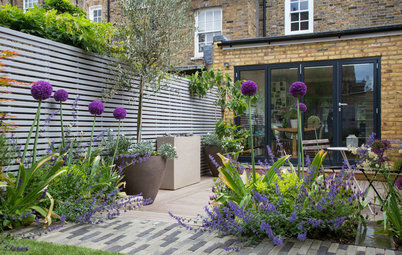 The built-in bench is fast becoming more of a fixture in urban and country gardens alike. Why? 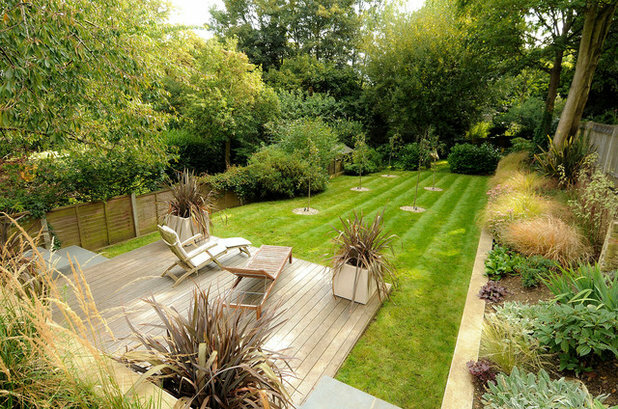 Because it tends to look like part of the overall landscaping – so it’s more pleasing to the eye. A built-in bench is also a permanent fixture, which means it’s always ready and waiting for you when you head out with a glass of wine and a book. 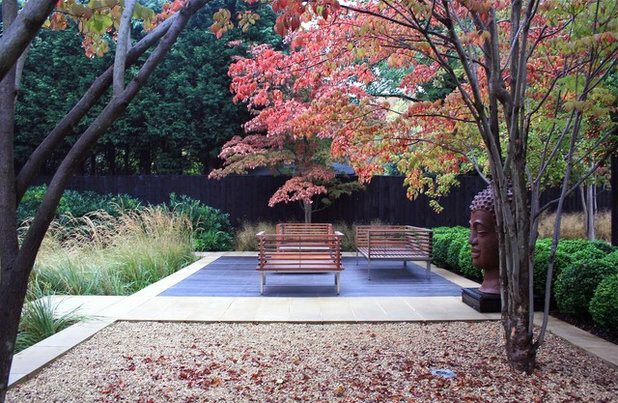 Here, the bench is the same colour as the paving slabs, giving an elegant, formal feel. If you’ve missed the opportunity to build in a bench (or don’t have the budget), don’t despair. A sturdy weatherproof bench that’s permanently left outside does the same job, but still means you don’t have to start unfolding chairs and tables when the sun comes out. This bench also has a curved shape that will be more comfy to lean against. We’re not all sun-worshippers. A decent patch of shade can make all the difference to your relaxation on days when the sun is fierce and your brow is beaded with sweat. 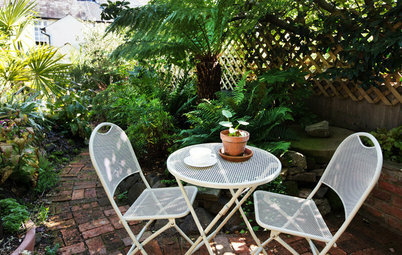 Plan your seating area so existing foliage offers cool respite from rays, or invest in a good-quality sun umbrella or canopy. 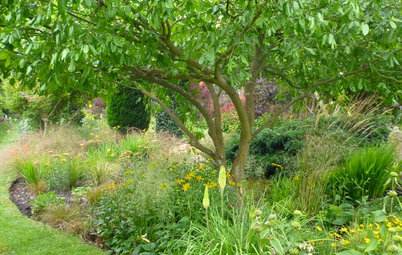 If you’re able to plan further ahead, put in place a planting scheme that will do the same job. An ever-increasing body of research suggests that spending time outdoors in nature can boost mental health. 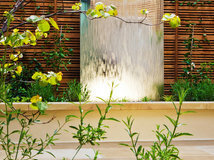 A lush, leafy border will give the feel of an idyllic retreat, even in an urban backyard. 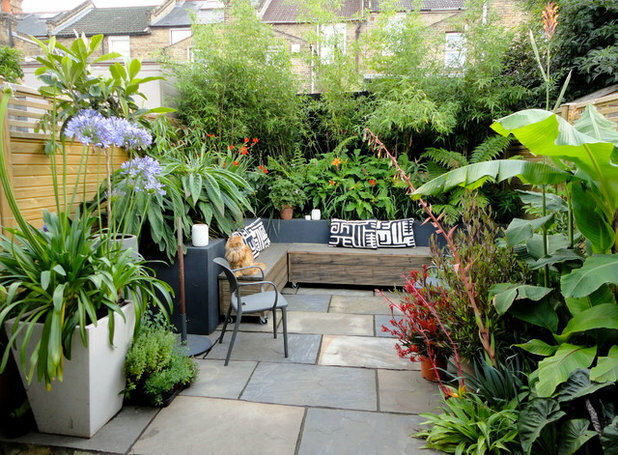 Choose tall evergreen plants, such as bamboo, to create a green-screen effect at the bottom of your garden, and supplement with palms and ferns. 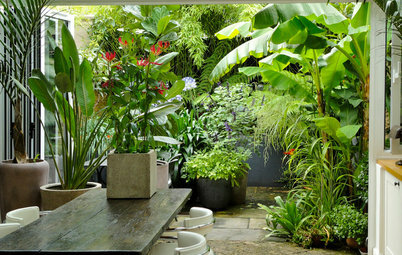 Put plants in pots as well as in beds and borders, to ramp up the lush jungle effect. 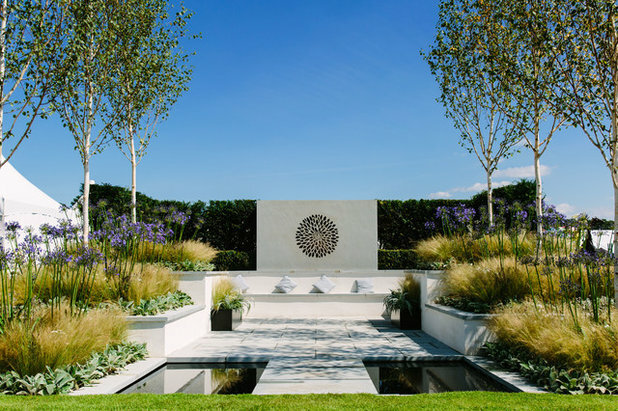 The ‘outdoor room’ concept is increasingly a thing in gardens, and it’s easy to see why. It’s all about practicality but also comfort, so look for cushioned seating that offers sofa-level squishiness. 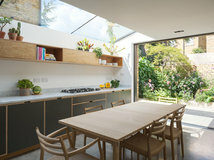 Don’t fancy being overlooked by nosy neighbours? 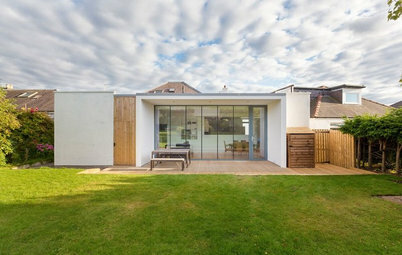 Privacy can make you feel more relaxed, but that doesn’t mean you have to erect a huge, ugly division. 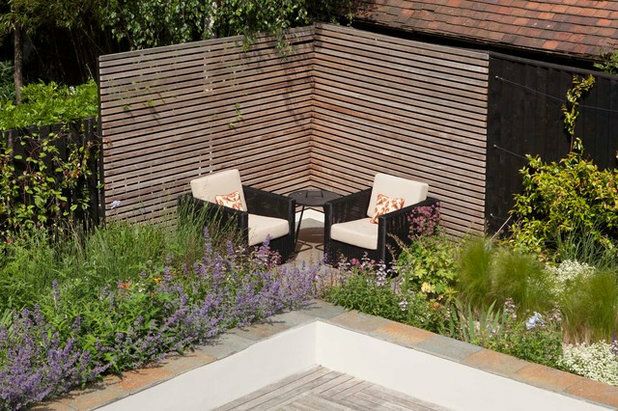 These horizontal wooden strutted fences keep a small seating area completely private, without impinging on the rest of the garden – and look chic and modern to boot. It’s amazing how much difference the humble cushion makes when it comes to relaxation. Invest in some bright ones for instant cheer, and keep them in an accessible location so you can find them easily. 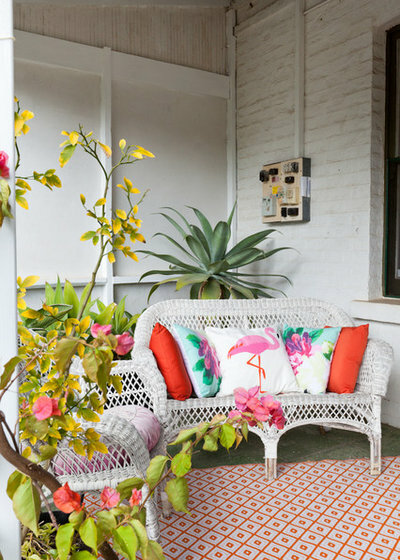 Seek out special cushions designed for outdoor use, as they are made from tougher fabrics that can withstand a little drizzle. 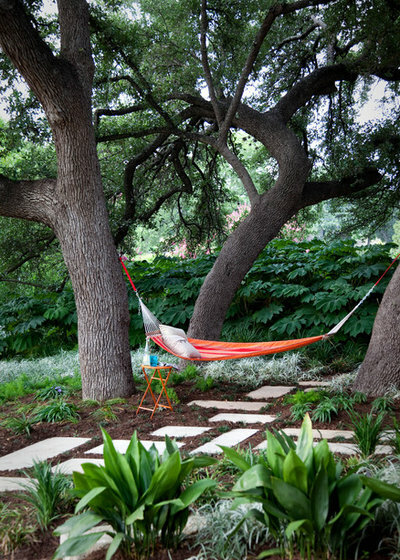 If you have two sturdy trees – or can put up two sturdy posts – consider a back-to-basics hammock. When the sun shines, there’s something about being suspended in the air that really gives you that balmy tropical-island vibe. Buy one big enough for two and you can cuddle up and share the holiday feeling. For a truly chill-out experience, lying down on a recliner is hard to beat. 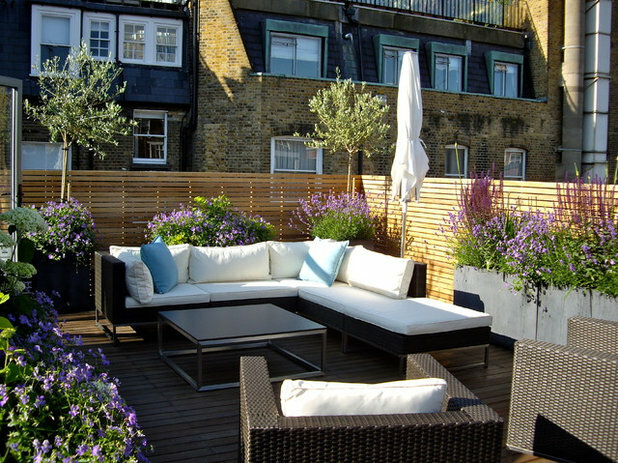 So buying a couple of decent-quality loungers for your garden could be the best move you ever make, in terms of relaxation. 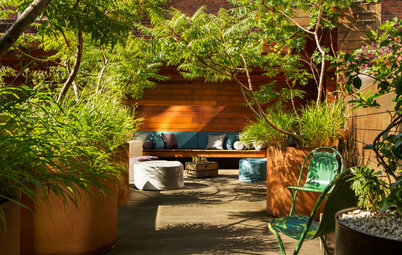 These steamer-style wooden recliners look timeless and can be left outside, too. Alternatively, find fold-up models that can be stored in the shed. Loungers come in a huge range of prices and materials, but it helps if you can try them out first to be sure they won’t sink in the middle when you lie back. 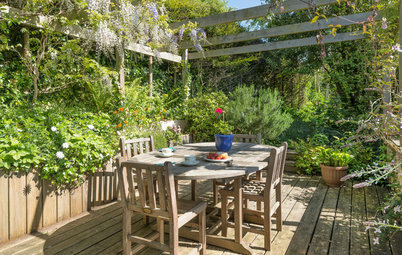 What could be nicer than eating alfresco with friends or family? Investing in a quality set of outdoor chairs and table could be well worth it, especially if you’re someone who likes to entertain or you have lots of relatives. A good-sized set means everyone is comfortable and no one has to perch on old or broken chairs. But before you buy, do some research: certain woods may not last as well, and may need more regular treatments to keep out moisture, so could ultimately be a false economy. 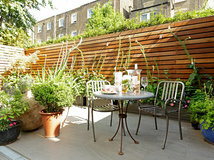 For example, budget acacia needs to be sealed to stop it fading, while pricier teak is less likely to swell or buckle. Also, check wooden furniture is from a sustainable source by looking for FSC certification. 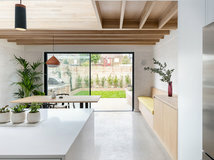 This dining area has been placed on a terrace, giving it a restaurant feel. 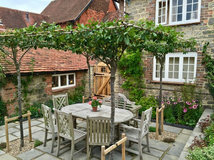 If you want a permanent dining spot, you could also build in a wooden pergola, which can be covered with climbing vines to provide shade, and twinkly fairy lights for evening atmosphere. 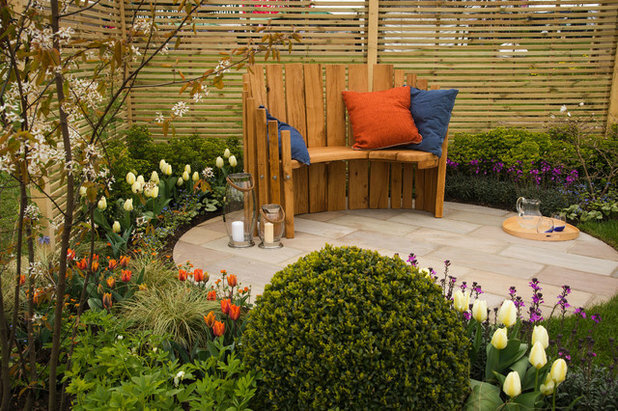 How have you made your garden more relaxing? Share your thoughts in the Comments below. 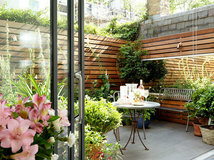 Such an inspiring article, I only wish I had a garden! The leafy oasis is beautiful! Wow! 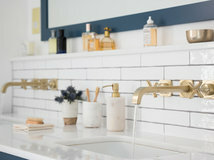 what a great idea.Check out https://www.logicalspace.com/?ls=en for more inspiration.